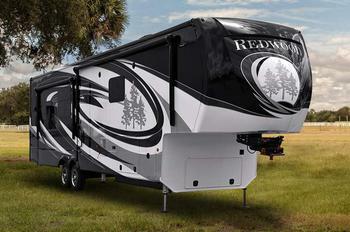 Keystone RV Company is recalling 156 model year 2016-2017 Crossroads Redwood travel trailers. The ladder on the back of the vehicle may be blocking the secondary emergency exit window. If a ladder blocks a window that is labeled as an emergency exit, there is an increased risk of injury. Keystone has notified owners instructing them to remove the emergency exit sticker from that window if it is blocked by a ladder, free of charge. The recall began May 23, 2018. Owners may contact Keystone customer service at 1-866-425-4369. Keystone's number for this recall is 18-319.